Our hair is a big part of our image. So it’s normal to be concerned when you notice a receding hairline in the mirror or find a clump in your hand whenever you touch your head. But before you hit the panic button, take a deep breath. There may be no cure for hereditary baldness, but you can slow it down by combating your hair’s “three worst enemies”. To keep your hair, you have to give it the nourishment it needs—from the inside. If you have a deficiency in important minerals like calcium, magnesium, zinc, potassium, or iron, your hair won’t be happy. The good news is there’s a simple solution: eat food that gives you the minerals your hair needs, like dairy products or calcium-enriched substitutes, almonds, seafood, and beans. Stress ramps up the hormone that causes baldness. So if you want to keep a healthy head of hair, reducing stress levels is a must. Try relaxation exercises or, better yet, find the source of your stress and fix the root of the problem. Treat your hair with care. Give it the attention it needs, but keep hair products like dye, hairspray, and gel to a minimum. Don’t pull too hard on your hair when combing or styling. And use gentle shampoo and conditioner. 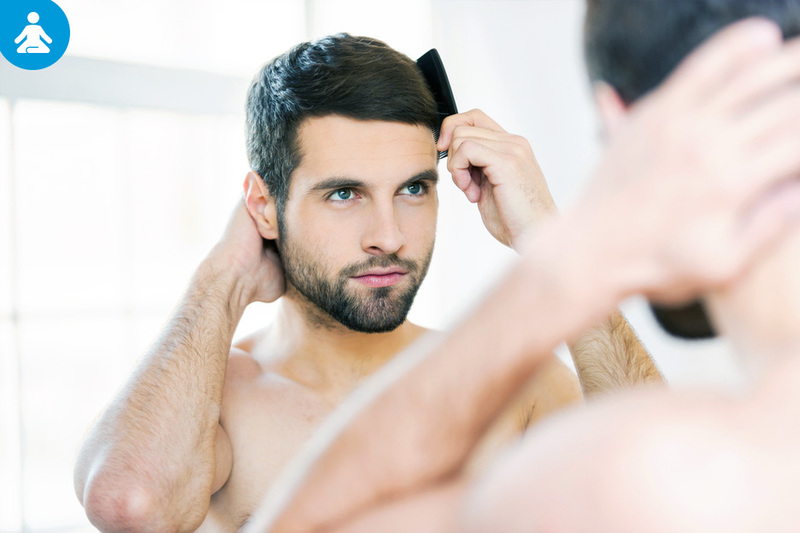 Male pattern baldness, the most common type, is hereditary, but male hormones such as testosterone also play a role. For women, higher levels of these male hormones are believed to cause hair loss, though heredity is still the main culprit. Caucasians are more affected by baldness than people of other races (Aboriginal, Asian, African).